I’m Nathan Allotey. I help people build businesses around their unique value. No ultimate guides and no sales pitches. I only want to give you honest, relevant advice based on my successes and failures. Sign up for the humble hustle newsletter below. I want to help you bridge the gap between creativity and business. 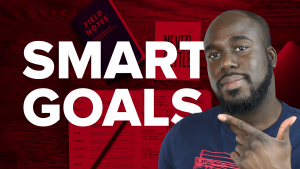 I spent hours teaching myself web design and business until the money I made from freelancing on nights and weekends equaled the salary I made on my 9 – 5 job. I wanted to continue to grow my freelancing business but I knew I needed to learn “what I didn’t know” about business and this lead me to pursue my master’s in business administration. The advantage of having my own business while getting my MBA allowed me to immediately apply everything I was learning at the time. I was able to translate everything I learned about business for the needs of a freelancer or solopreneur. Honest advice about cultivating an idea or find answers to your business questions. 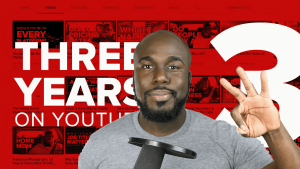 Everything on pricing, clients, productivity and everything in between. Guides focused on actionable advice, crafted from an honest perspective. 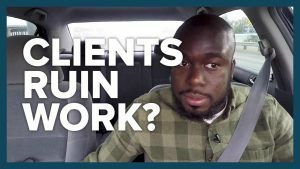 For this episode of Traffic Talk we look at the answer the question: My client has taken my beautiful work and ruined it with their suggestions! What can I do? 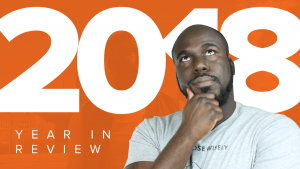 Normally I use January as a planning month but as I plan I wanted to share with you what is on my mind as I move forward in 2019 toward the goals I would like to accomplish. 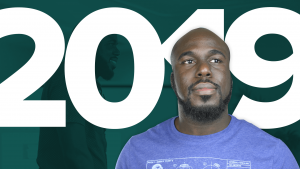 As I reflect on the year 2018 I explain what I felt went well, what did not go so well, and assess whether or not my goals were reached. 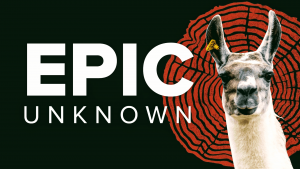 As I think back on how 2018 went, I wanted to make mention of a fantastic experience I had in the Smoky Mountains of Tennessee at Epic Unknown an unconference about design leadership. As the end of the year comes to a close there will be many people who will focus on setting goals in the new year. The most critical factor in establishing a goal is HOW you define success. Without even realizing it my YouTube channel turned 3 years old in October. In this video I discuss what happened this past year on YouTube and what I plan to do in the future.